VIP JOMCITY International Member Services is in accordance with the company's overall business strategy and the development of an important customer service program. The membership is based on the deposit amount for division-level standards. Once the member reaches the corresponding points, player can upgrade to higher VIP level. When you become the JOMCITY International VIP clients, you can enjoy the lifetime benefits and services. 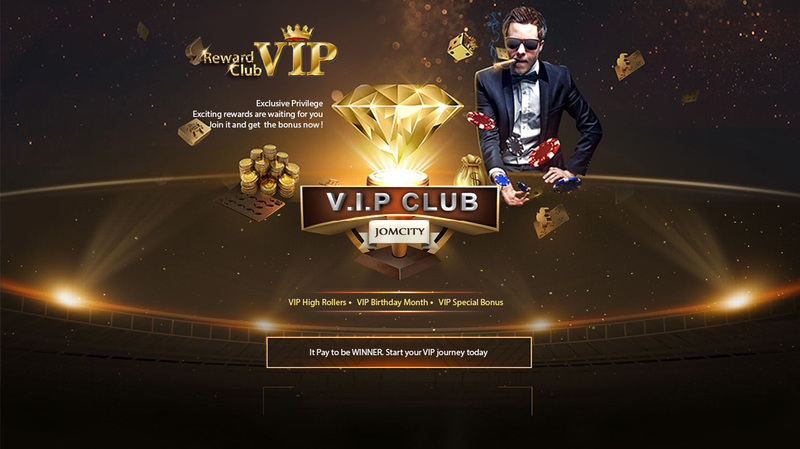 This promotion is open for VIP member of www.jomcity.com. VIP member register only MYR currency. www.jomcity.com has the right to modify, change or terminated the promotion without prior notice. VIP member register only MYR currency, the bonus compliance with MYR currency. Members will receive their Birthday Bonus once the Identification Card has been verified by JOMCITY.